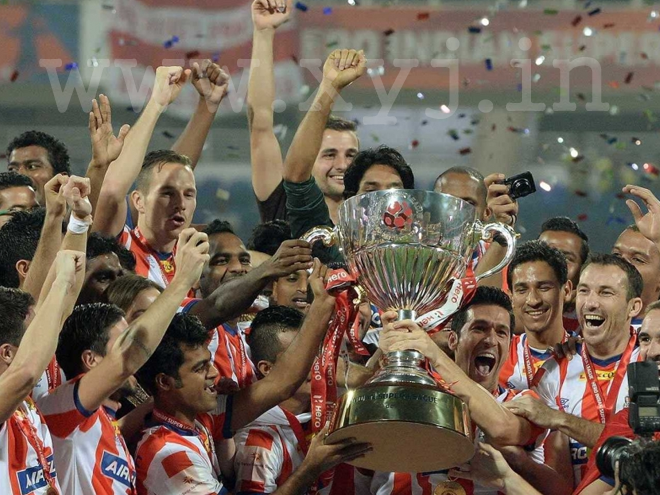 As all we know that Indian Super League Football started from 12th of October 2014. Total 8 teams are participating in Indian Super League (ISL) or Hero Indian Super League and will show their skills in 61 matches. As Indians are big fan of football and shows there love in recent FIFA world cup now it’s time to support our local or favorite team in Indian Super League. 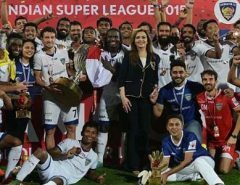 Unfortunately football is not popular similar to cricket but the purpose of organizing this Hero Indian Super League is to make football popular in India similar to other sports. Which team you wanna support or in which team which player is playing, who is the owner of team and who is the coach of team know everything with us here. Indian players: Subhasish Roy Chowdhury; Arnab Mondal, Biswajit Saha, Denzil Franco, Nallappan Mohanraj, Kingshuk Debnath; Climax Lawrence, Lester Fernandez, Sanju Pradhan, Rakesh Masih, Cavin Lobo; Mohammed Rafique, Mohammed Rafi, Baljit Sahni. Indian players: Jagroop Singh; Anwar Ali, Govin Singh, Munmun Lugun, Shouvik Ghosh, Naoba Singh, Robert Lalthlamuana; Francis Fernandes, Shylo Maltswamtluanga, Souvik Chakraborthy, Adil Khan, Manish Bhargav, Steven Dias; Manandeep Singh. Foreign players: Marek Cech, Kristof van Hout; Wim Raymaekers; Henrique Dinis, Pavel Elias, Gustavo Marmentini, Hans Mulder, Bruno Herrero; Morten Skoubo, Mads Junker, Alessandro Del Piero(marquee player). Foreign players: Emanuelle Belardi; Daniele Magliocchetti, Bruno Cirillo, Andres Gonzalez, Park Kwang-Il; Davide Colomba, Kostas Katsouranis, Omar Rodriguez, Saidou Mady; Ivan Palacios, DavidTrezeguet (marquee player), Dudu. Foreign players: Gennaro Bracigliano; Mikaël Silvestre, Marco Materazzi (marquee signing), Bernard Mendy, Jairo Carvajal; Elano, Bruno Pelissari, Bojan Djordjic, Cristian Gonzalez; Eduardo Silva. Indian players: Luis Barreto, Sandip Nandy; Avinabo Bag, Gurwinder Singh, Nirmal Chettri, Ramandeep Singh, Sandesh Jhingan, Saumik Dey; Mehtab Hussain, Ishfaq Ahmed, Sushanth Mathew, Renedy Singh, Godwin Franco; Milagres Gonsalves, CS Sabeeth. Foreign Players: David James (marquee player); James Reynolds, Raphael Romey, Colin Favey, Cedric Hengbart, Erwin Spitzner; Penn Orji, Victor Forcada; Iain Hume, Michael Chopra, Andrew Barisic, Pedro Gusmão. So which team you are going to support or which celebrity team you are going to support Ranbir Kapoor, Sachin Tendulkar, MS Dhoni, Abhishek Bachhan, John Abrham or any other.